Monrovia (AFP) - Liberia on Saturday said it would deny permission for any crew to disembark from ships at the country's four seaports until the Ebola epidemic ravaging west Africa was under control. Sailors on commercial ships can normally ask for a "shore pass" allowing them to get off the vessel and access the port, but the documents are being withdrawn to curb the spread of the virus, said Matilda Parker, head of Liberia's ports authority. "For vessels coming in we have cancelled shore passes. Absolutely no one from on board vessels will be allowed down," she told AFP. The country's four seaports, including the Freeport of Monrovia, would adopt a "zero tolerance" approach, Parker said, against an outbreak which has claimed 1,500 lives since the start of the year. 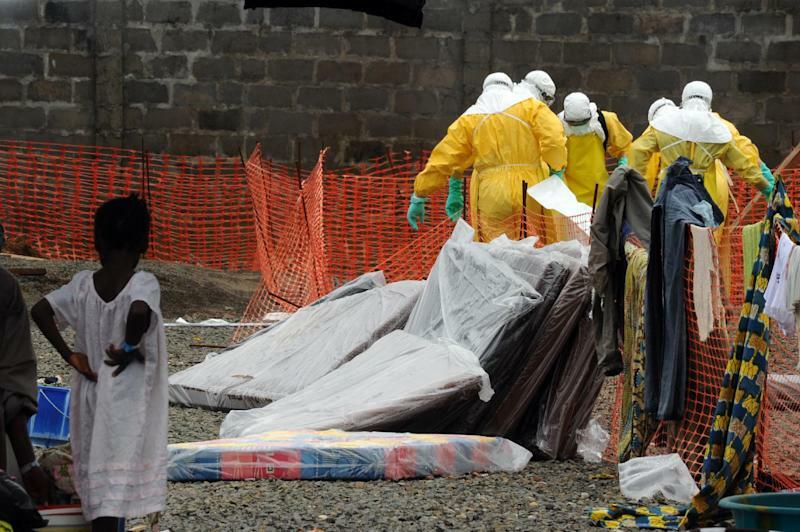 Liberia, the hardest-hit of five west African nations struggling with the epidemic, has seen almost 700 deaths. "For the workers who are going onboard vessels, they are going through three layers of screening at the gate, at the security desk and also at the peer. They have been instructed not to get in contact with anybody on board," Parker added. Parker, a US-educated private sector management specialist, was taken on in 2009 to become what remains the world's only female port authority head, charged with turning around the fortunes of the underperforming, inefficient Freeport of Monrovia. The port is run by APM Terminals, which operates in 63 countries, as part of a deal committing the company to a $145 million investment including a 600-metre wharf and state-of-the-art container tracking technology. The port -- known as the "gateway to Liberia's economy" -- handles the majority of imports in an economy which has to buy in almost all commodities, meaning the price of fuel, machinery, manufactured goods and food rely heavily on its smooth running. ArcelorMittal, the world’s biggest steel producer and the first investor to enter post-war Liberia in 2005, has ploughed an estimated $75 million in Buchanan, the country's second-largest port.